Main problems known for the Shih Tzu dog breed range from renal dysplasia to hip dysplasia. Are generally a healthy breed with few medical problems. Shih Tzu dogs are social animals and love to be petted, groomed and played with. They are not “yappy” dogs. Shih Tzu have been known to snore. Shih Tzu are loyal dogs and can be stubborn and come across as arrogant. The official breed tandard size should be between 9 and 10 inches and weighs between 9 - 15 pounds. They have wide set eyes. Shih Tzu don't have fur, they have hair like humans which they gradually lose while being grooming. They make great watch dogs. So there you have it, the Shih Tzu dog breed in a nutshell. 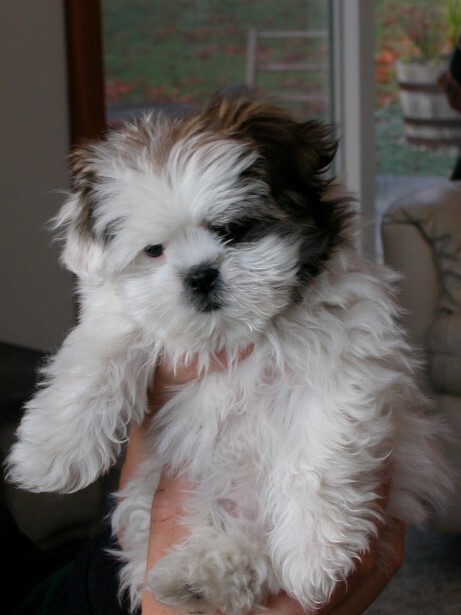 For more detailed information see our other pages about Shih Tzu dogs.